"Arrète! C'est ici l'empire de la mort"
"Stop! 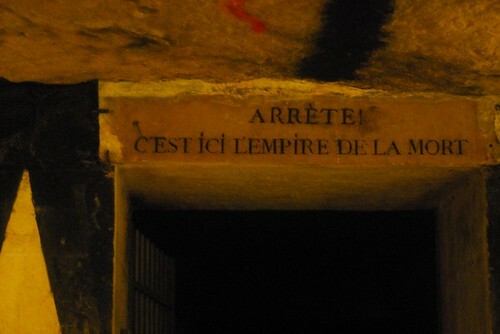 This place is the empire of death"
The famous inscription at the entrance to the Paris catacombs themselves.